While not exactly nomadic, urban dwellers are known to be constantly on the go. It’s no surprise then that many urban gardens are designed to follow suit. 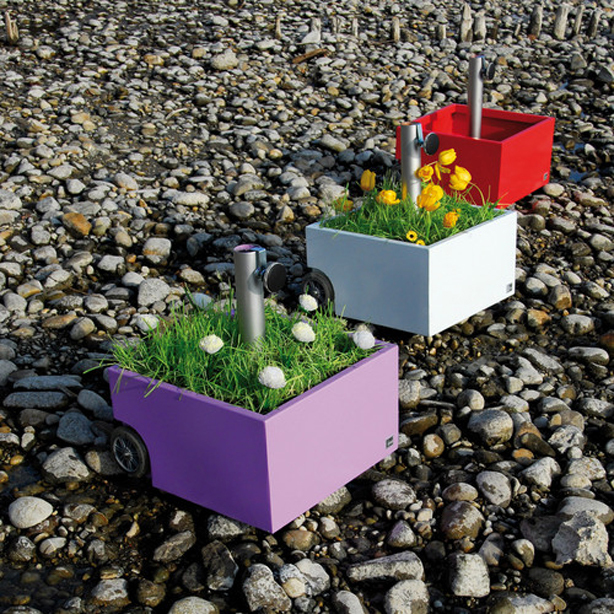 With the roots to grow and the wings to fly, mobile gardens are on the move too. Here are ten of our favorite mobile garden projects we hope will move you. A UK collective of artists and curators is maintaining the cutting-edge of environmental awareness and having fun in the process. 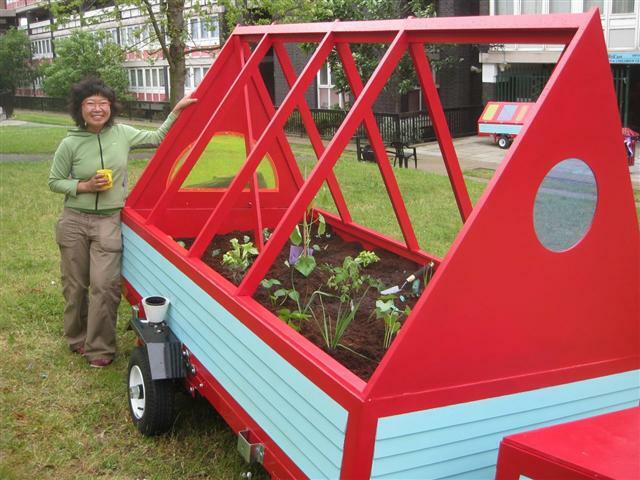 One of them, Lisa Cheung, devised the Mobile Allotment project to engage entire communities with creative food growing and arts projects. Read more about Cheung’s project and see a mobile porch here. 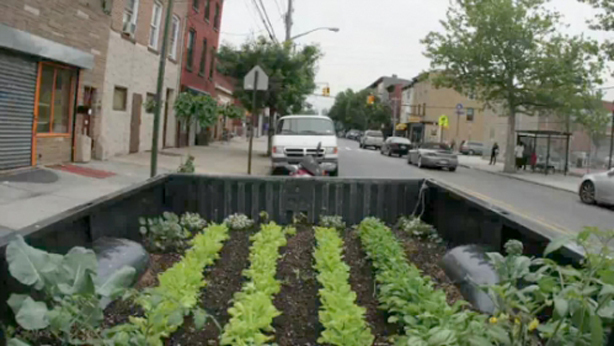 Using green roof technology on the streets of Brooklyn, Ian Cheney and Curt Ellis grew tomatoes, broccoli, arugula, and parsley inside the bed of a 1986 Dodge half-ton pick-up. They were simply undeterred by having no land of their own. Learn more here about what these guys created. 3. Can You Parallel Park Your Garden? Creative minds were challenged to think inside of the urban parking spot in the Public Design Festival’s international Duepercinque contest during the 2009 Milan Salone Internazionale del Mobile. Installations, communication projects, services for the city, actions, urban furniture items, as well as performances had to fit into an urban 2 x 5 meter parking space. Check out four amazing projects here. In 2010, the Chicago Transit Authority approved The Mobile Garden to add green space for windy city strap-hangers to enjoy during their commutes. 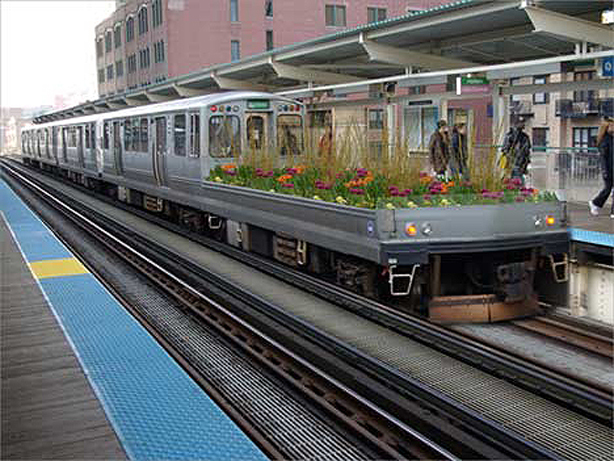 The moving urban garden–a flatcar train garden–became a part of regular transit service and was planted with native plant species requiring little water and low maintenance. 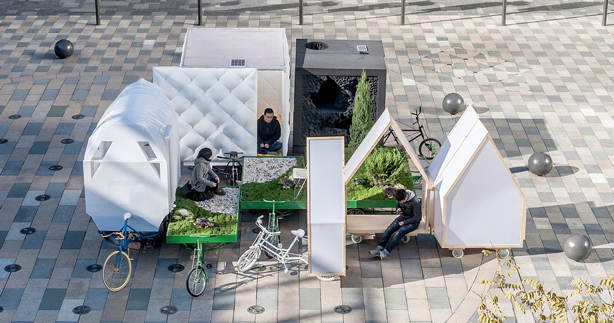 Read about the artist who created The Mobile Garden. 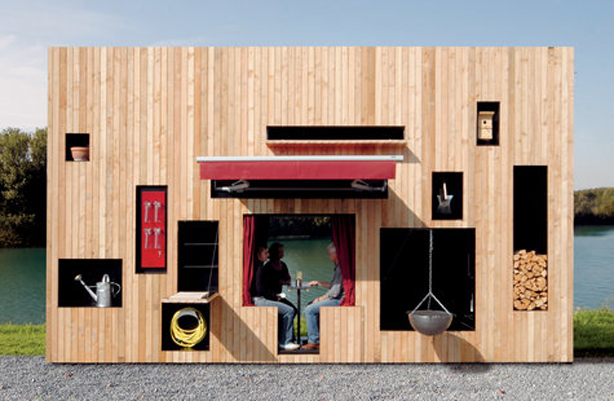 Inspired by and named after Walden, Henry David Thoreau’s declaration of self-reliance and living simply with nature, German architect Nils Holger Moormann interpreted the concept to create a tiny footprint complete with most of life’s necessities in a space barely wider than a door. Take a peek. Roll out a tiny shaded garden with the Flower Power umbrella stand and planter. It’s got wheels for easy portability: move it as the sun changes position to keep yourself cool. See how beautiful they look underneath an umbrella. 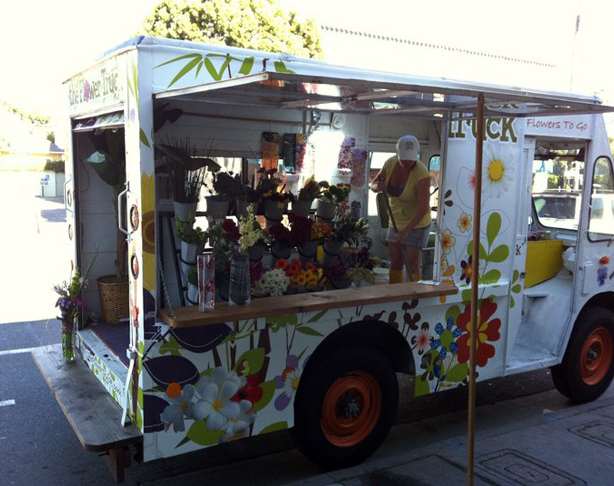 Amid the proliferation of gourmet food trucks serving up gastronomic choices comparable to those found at three and four star restaurants, The Flower Truck, a Los Angeles mobile flower shop, has parked it’s petals. Take a closer look here. In answer to the question, “If you had to envisage life on some other habitable planet other than earth, what kind of minimal hand luggage would you take with you?” designers from Hamburg-based design firm Studio Marguerre-Besau in collaboration with Adrien Petrucci, decided hands down that for their interplanetary transport, they would have to bring fashionable portable greenhouse filled with plants. What’s next, monogrammed Louis Vuitton compost bins? Dish on the Greenhouse-to-Go here. 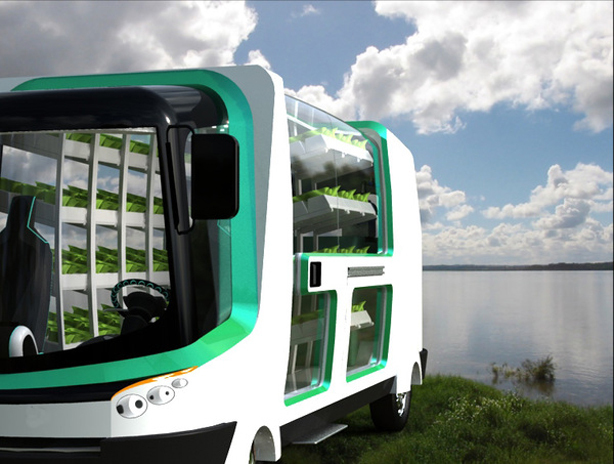 Food & Water 2030 is Argentine industrial designer Nicolás Chacana’s concept for the cultivation of hydroponic produce in a mobile farm, specifically, an urban vehicle that grows and delivers food and drinkable water. This is a project that could truly transform the health of families who don’t have access to fresh foods. Read more about his concept here. 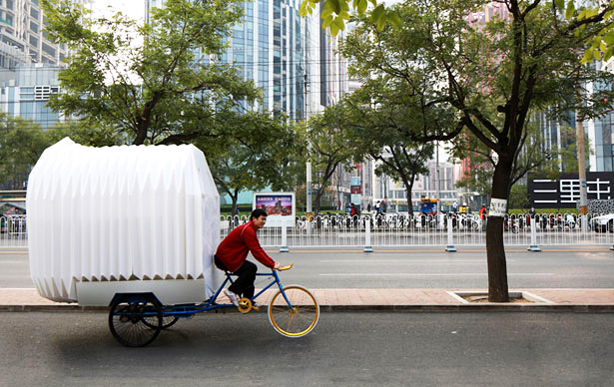 With space at a premium in dense urban areas, a temporary residence towed by a tricycle might appeal to some. Chinese architecture company People’s Architecture Office has designed Tricycle House and Garden–a sustainable single family home intended for people in China who can’t afford land or a house. Learn more about Tricycle House here. Want more? 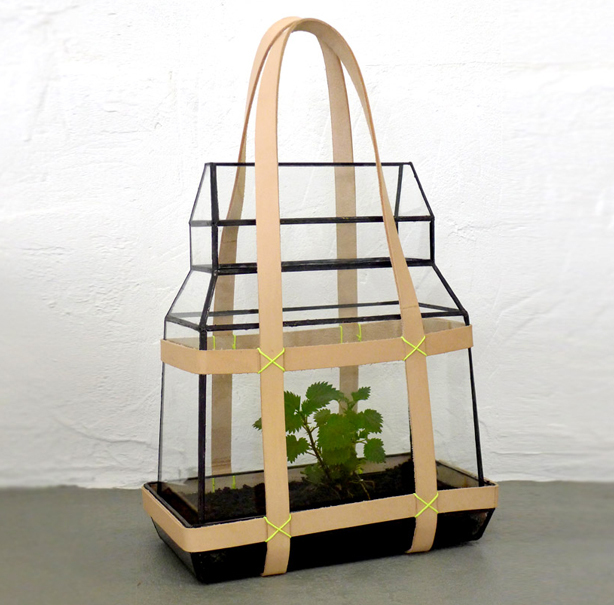 Check out our Mobile Gardens Pinterest board!